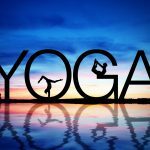 Originally from India, the history of Yoga is linked to the Indian civilization: created to help man to overcome the cycle of reincarnations and its suffering, it is one of the six great philosophical systems of the country. However, the precise origins of Yoga remain unclear and its history is full of shadows; this is explained in particular by the oral tradition of its transmission and the secret character of its original teaching. If the first forms of practice seem to date from 5.000 years, some specialists make them go back to more than 10.000 years. It was first developed in Hindu scriptures, especially in the Bhagavad-Gita and the Upanishads. I was, then, very motionless and mystical, essentially focused on the breath. Yoga is, above all, an holistic system that works both the physical and spiritual plane of the practitioner. Many consider it a way of life approaching wellness and health in a natural way, which through various techniques of body-mind work makes people less vulnerable to disease and helps to balance at all levels. In this article, we’ll guide you through the different styles and benefits of this practice. Stay with us! Speaking of asanas, this is probably the first word you learn when you start entering the world of Yoga. They are the postures that you make to benefit your body in several ways. Get to know more about them in the article we’ve prepared for you. If you’re looking for information about floor asanas, worry not, we’ve got you covered too. There are many health professionals that recommend yoga for cancer patients as physical activity during their treatments. On the other hand, if you’re pregnant, you can benefit of the practice of Yoga, too! Feeling overwhelmed? If you’re just entering this whole new world of Yoga, you can’t miss our Yoga Poses for Beginners’ guide. Happy Yoga!